GROHE, the world's leading provider of sanitary fittings, is a partner of the German Sustainability Day 2017, which will start this Thursday in Dusseldorf. At this leading two-day convention, experts from companies and administrations as well as from the fields of politics, research, media and society will discuss the urgent issues of sustainability. The focus of the anniversary event in its tenth year will be on water, climate protection and digitization. Regarding the topic of water, GROHE supports in organising and implementing the convention. GROHE consistently pursues a 360-degree sustainability approach that includes employees, suppliers, plants, processes and the contribution to society in equal measure. Sustainability is an integral and essential part of the corporate strategy and alongside quality, technology and design a core value of the GROHE brand. As a representative of the economy, GROHE will participate in the panel "A Common Goal – How Sustainability Strategies Interlink at Different Levels" and discuss with representatives from politics and institutions how the sustainability goals of the German government can be achieved together. GROHE is working intensively on the 17 Sustainable Development Goals (SDGs) of the UN, such as the availability and sustainable management of water and sanitation (SDG 6) and the development of sustainable consumption and manufacturing patterns (SDG 12). Climate change, economic growth and a growing world population make the resource of water more and more valuable. By 2050, the global demand for water will increase by about 55 percent. Sustainable water management is therefore becoming increasingly important. In addition to raising people's awareness of how to handle water, the development of intelligent technologies plays a key role. GROHE, whose mission is to develop smart technologies that enable people to use water consciously and sustainably, will be hosting the panel "More Than Just an Element – the Contribution of Water Management at Home and in Businesses". Over the past few years, GROHE has launched numerous innovative products that enable the conscious and sustainable use of water such as GROHE faucets that reduce water consumption by up to 50 percent thanks to flow restrictors. GROHE Blue delivers filtered, chilled and optionally carbonated water straight from the kitchen tap, saving more than 60 percent of CO2 emissions compared to bottled water. 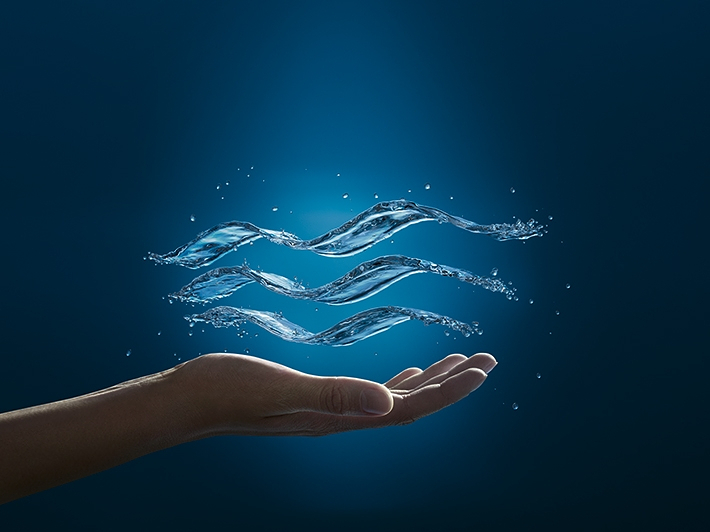 The GROHE Sense and GROHE Sense Guard water safety system is a digital solution designed to detect unnoticed leakages – which account for 10 percent of private water use – and to shut off water immediately in the event of a burst pipe. When it comes to its own processes, GROHE also invests in long-term resource efficiency – the brand already controls 90 percent of its value chain. GROHE’s combined heat and power plants at the production sites in Lahr and Hemer reduce CO2 emissions by 17,000 tonnes per year. In addition, GROHE generates part of its electricity itself. The sustainability approach of GROHE has already received many awards. Three times in a row, GROHE was nominated for the German Sustainability Award and achieved top rankings. The US business magazine Fortune added GROHE to its "Change the World" ranking last September. Based on GROHE's extraordinary commitment to saving water and energy and avoiding waste, Fortune acknowledges GROHE as the only German brand that "is changing the world”. In addition, GROHE was the first company in its sector to receive the CSR Award of the German federal government at the beginning of the year. GROHE is convinced that a continuous debate on sustainability is indispensable, but at the same time, it is also a challenge. Says Michael Rauterkus: "It's about finding the balance between economic success, environmental protection and social responsibility. However, this must not be defined exclusively through isolated projects. Rather, a consistently sustainable approach should be established as a matter of course and as part of the corporate strategy."